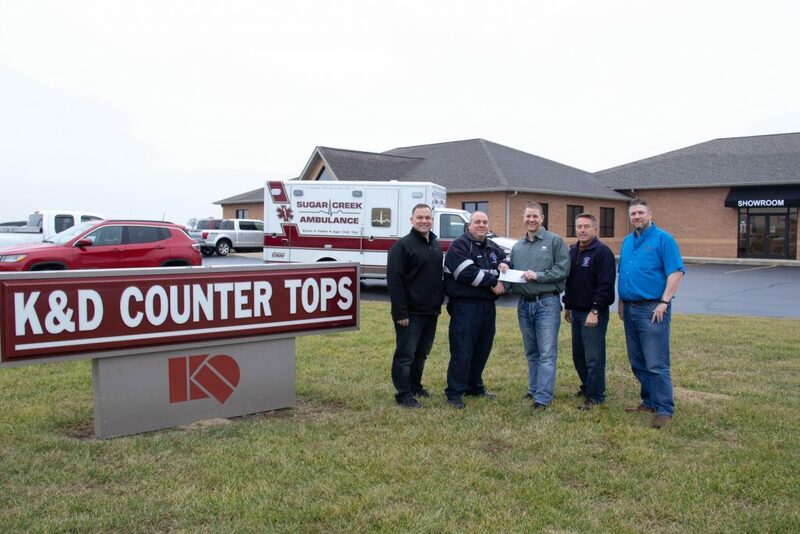 K&D Countertops continues to support the local community with a donation to the Sugar Creek Ambulance Service. This donation has helped pay for a Stryker Power Load System for the all-volunteer EMS service. Pictured left to right: K&D owner John Daiber; Jim Kniepman of Sugar Creek Ambulance Service; K&D owner Troy Kapp; EMT Carl Durkee and K&D owner David Kapp. Pictured left to right: K&D owner John Daiber; Jim Kniepman of Sugar Creek Ambulance Service; K&D owner Troy Kapp; EMT Carl Durkee and K&D owner David Kapp.